but after I got over the initial learning hump I found I really liked it. The best part of oData is you can test any of your queries by pasting them into your internet browser and it returns the data straight away. I ended up creating an excel spreadsheet to create queries. Today I saw this blog entry CRM 2011 OData Query Designer by Rhett Clinton, who recently also made the medadata browser for CRM 2011 as well. You can also download this code from codeplex. It’s a very useful tool because oData can take a little bit of time to understand and this tool will allow you to easy create oData queries without having to get the syntax correct. Excellent work from Rhett. 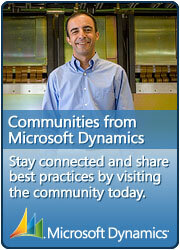 You can see all the tools he has made for CRM 2011 at the top of his blog.